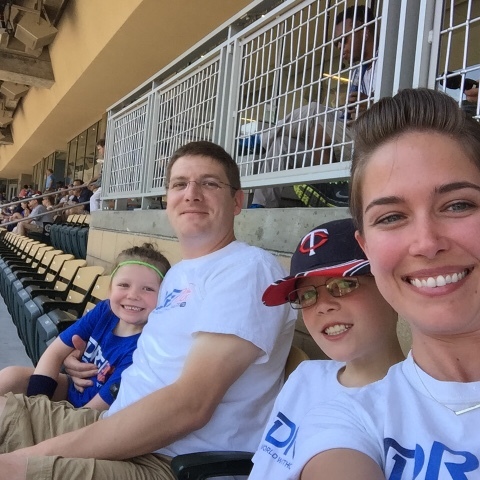 On June 5, we went to the Twins game. 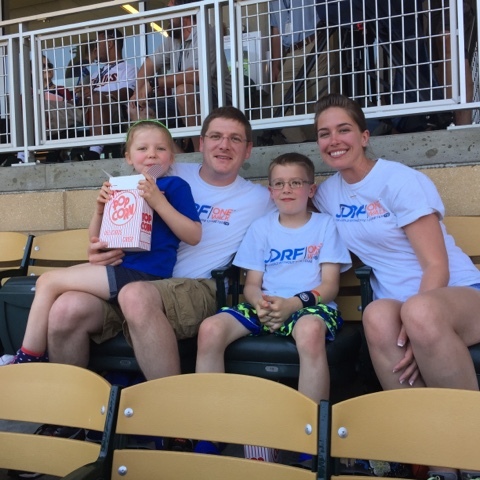 With tickets in hand from JDRF in commemoration of the success of the ONE Walk, we were excited to spend the afternoon at Target Field. As we walked to our seats, passing the entrance to the Delta Sky360 Legends Club, an older gentleman got our attention. He offered us four tickets to watch the game from this private area, and we asked for his name as we shook his hand in gratitude for his kindness. "I'm Tony," he said. "Tony Oliva." One more handshake before we parted ways, and we entered the Club. That's when we were greeted by a large mural that brought the full scale of what just happened before our very eyes. 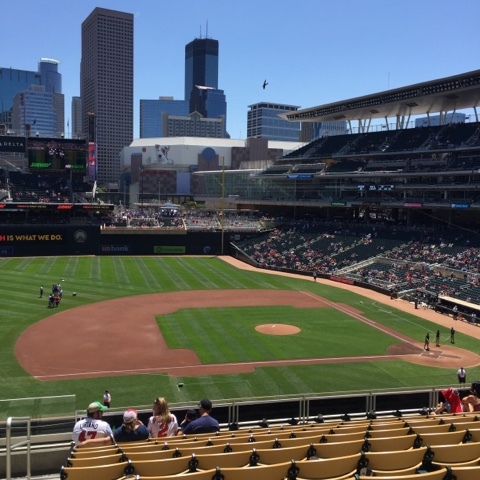 Tony Oliva played for 15 years with the Minnesota Twins, and has an impressive list of credentials to boot. He won the 1964 AL Rookie of the Year, named to the All-Star Team 8 times, an AL Batting Champion 3 times, an AL hit leader for 5 seasons and was awarded a Golden Glove. While he missed the MLB Hall of Fame by one vote the last time the committee met, there is constant talk of his destiny. Tony Oliva is a legend. ... And thanks to that chance encounter in the stairwell, we just met and shook his hand. The rest of the game was surreal. 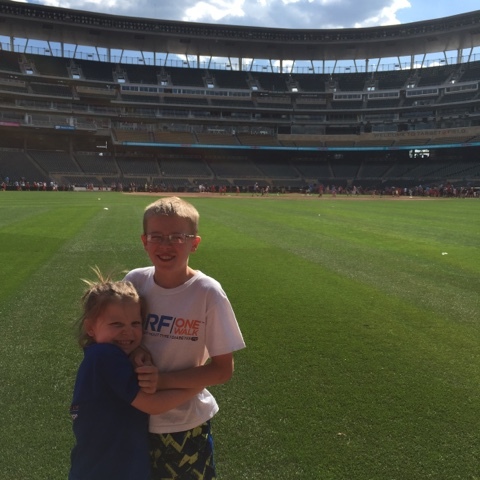 Though the Twins lost by 2, the experience is something I will never forget. 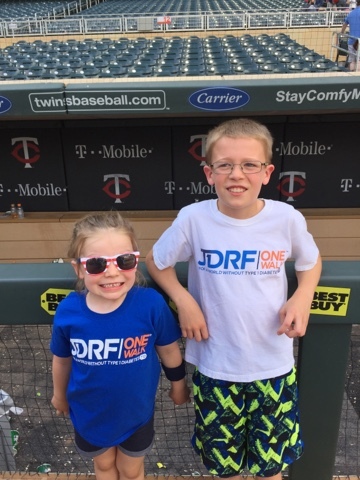 We enjoyed ourselves, then let the kids run the bases after the game. 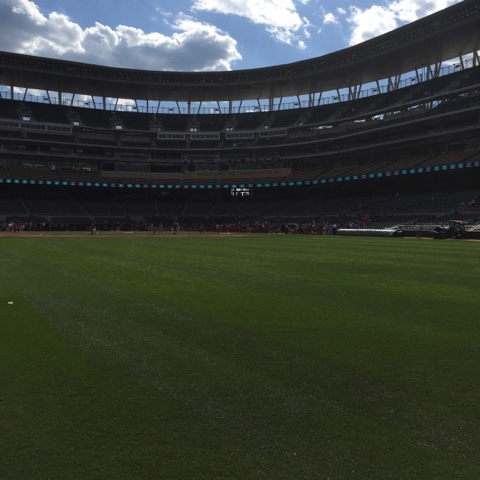 On the field, getting ready to run!